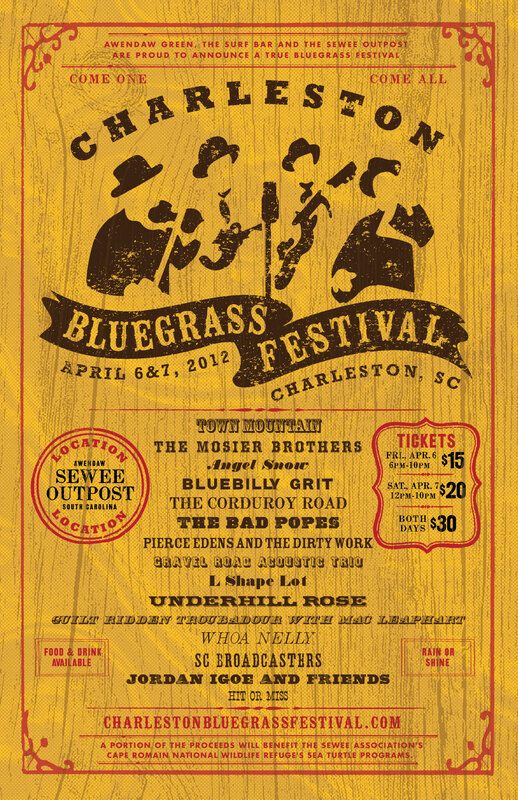 Eddie White asked me to design a poster/look for the charleston bluegrass festival. his main stipulation was that it scream bluegrass music. hillbillies unite!! this will be a helluva weekend iffen you love bluegrass. check out the line-up: freakin stellar!! the website is just getting up and running so all the info you need is not quite there. keep checkin back. the tickets will go fast. also we are doing some shirts and merch so bring cash to the show and please support all musicians, local or otherwise.